It looks like VW isn’t out of the woods yet when it comes to its connection with defeat devices. Forbes reports that regulators from the California Air Resources Board (CARB) have allegedly found another unreported defeat device that misrepresented carbon dioxide emissions on certain Audi models. Worse yet, Bild am Sonntag – a German publication – has found a document wherein Audi chief of powertrains Axel Eiser discusses the defeat feature and how it will be “100% active on the dyno, but only 0.01% in the hands of the customer," making it hard for the company to claim it was the work of a small group of engineers. The discovery will likely impact any progress the company has made in negotiations with the Justice Department and have huge tax implications in Europe. Carbon dioxide emissions are usually a prime factor considered for car tax, and understating those figures could lead to harsh financial censures. “Out of the frying pan and right back into the fire. It was just last month when it seemed Volkswagen was finally on the way to putting the emissions scandal behind it. Now new revelations point to the possibility that the scandal was even larger than we envisioned,” said Kelley Blue Book executive market analyst Jack Nerad. Reports indicate that the defeat devices can be found on many Audi models with automatic transmissions that were produced as late as May of 2016, including the Audi A6, A8, Q5, and others. This suggests that these devices were still being installed eight months after news of VW’s diesel scandal broke in September. “According to the paper, the cheater device is camouflaged as a ‘warm-up function. As long as the warm-up runs, the transmission stays in low rev mode it uses less fuel and produces less C02. This fuel saver mode is only active when the vehicle is in the testing bay. In normal traffic, the warm-up is deactivated, and the transmission switches to a mode with higher fuel consumption,’” Forbes reports. In a statement to CNET, an Audi spokesperson said that the company would continue to work with regulators to address this issue; however, suggested fixes will remain confidential for now. If all of these allegations turn out to be true, it could be a huge blow to VW. Repeated emissions scandals involving defeat devices has led to a loss of trust for many consumers, and continued financial reparations will undoubtedly take their toll. 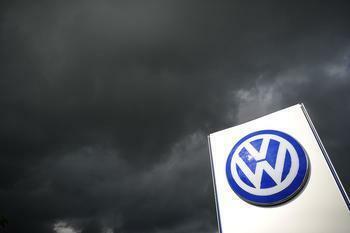 “With the recent court approval of its diesel scandal buyback offer, Volkswagen AG appeared to be on a path of healing. Unfortunately, the new emissions-cheating revelations that involve diesel- and gasoline-powered vehicles are fresh new wounds that will further damage the German automaker’s credibility and reputation,” said KBB analyst Michael Hartley.